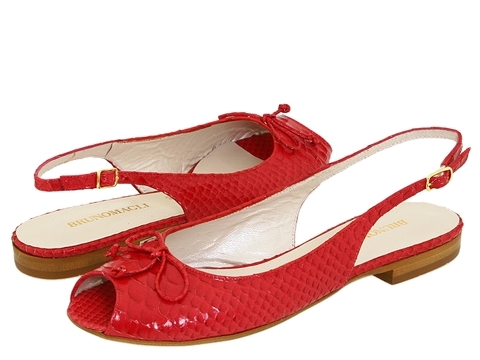 The spectacular texture on these shiny Bruno Magli slingbacks really pops when paired with a simple outfit. Patent leather upper with reptile embossed effect. Adjustable slingback strap with gold-toned buckle. ; Leather lining. Leather insole. ; Stacked block wedge. Leather sole. 1/2 heel. 5.00 oz. Made in Italy. Free shipping in the USA.